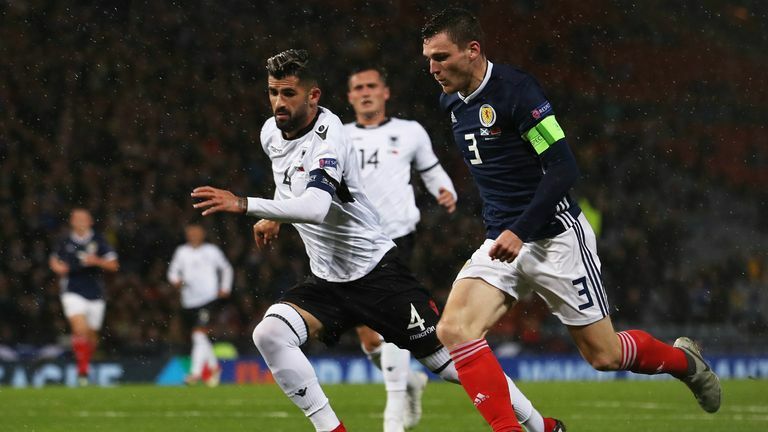 Alex McLeish saluted his Scotland players as they bounced back from defeat to Belgium to kick off their UEFA Nations League campaign with victory over Albania. Three days on from their chastening 4-0 defeat by Belgium, Steven Naismith led the Scottish revival as his header deflected in off defender Berat Djimsiti to put the host ahead at Hampden Park two minutes into the second half. The in-form Hearts attacker, a late call-up, headed in a second in the 68th minute to clinch three points and a welcome win for McLeish, whose side went into the game with one win in five friendly matches and having scored only one goal. "Our tempo was great, we started off really well with attack after attack," the Scotland boss told Sky Sports. "It was one of those days when I thought nobody would get on the end of something. We were getting bodies in the box, we've been working on that. "We've had really tough games in South America and took on the Belgians and we learned an awful lot from those games. "I told the players before the game I trusted them to improve on the errors of the Belgium game - they were excellent. "I am really proud of the victory tonight because we were under pressure. Everybody said we must win, and we did win. 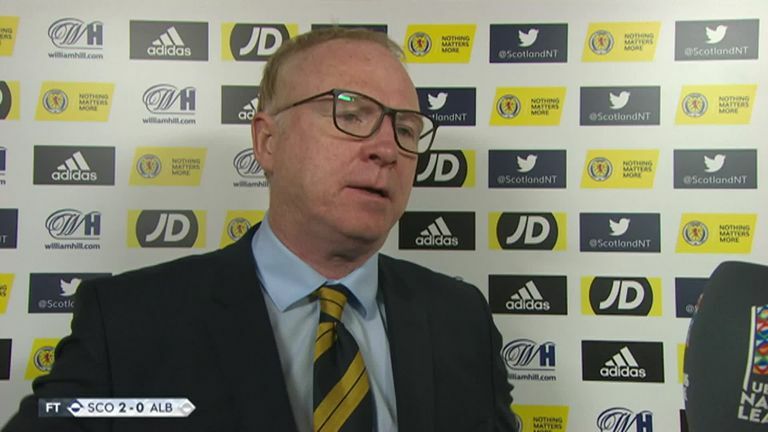 McLeish admitted after the game that it was a relief to come away with just a second win since beginning his second spell in charge of the national team. He added: "This result was always the focus. We took on some really tough games, going over to Lima and to Mexico - people start talking about your win ratio and I'm not bothered about that. "It is about building a team here, not papering over cracks. We've had the very hardest tests possible. "A lot of the players were missing in the summer trip and the players who have come in have excelled."